GIFTS FOR MEN: THE BEST TOOL GIFT IDEAS | muted. I know woman hate getting house work appliances for gifts, but guys a whole different animal. A tool gift for your husband, dad, friend, boyfriend, or family member will go over big. This is especially true if it’s a luxury they wouldn’t normally buy for themselves. Our list isn’t huge but we’ve rounded up some fo the best tools gifts we could find. First up is the Husqvarna 440E Gas Chainsaw. 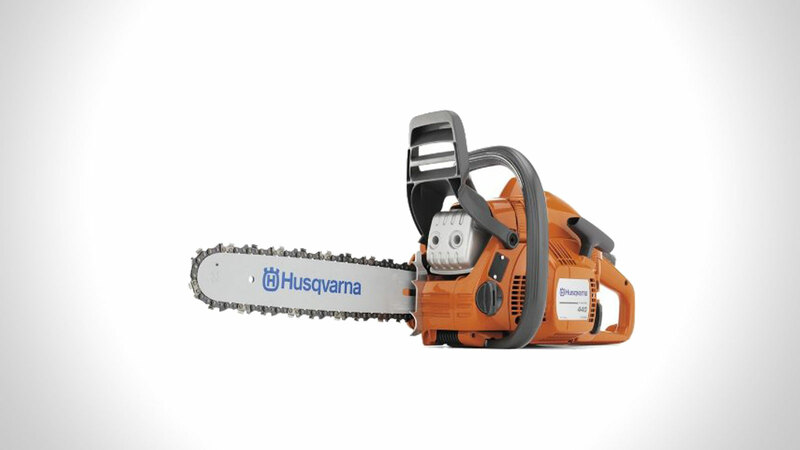 The Husqvarna 440E Gas Chainsaw ($300) is a perfect gift for the DIYer or handyman. The 440e is a lightweight and efficient all-round saw. Some of the great things about this saw are that it has a tool-less chain tensioner and is extremely easy to start due to its Smart Start, fuel pump and auto return stop switch. It’s also very easy to maneuver. An additional feature is an X-Torq engine that sips fuel and has reduced emission levels when compared to other chainsaws in the same class. Best Tool Gift For A Handyman. 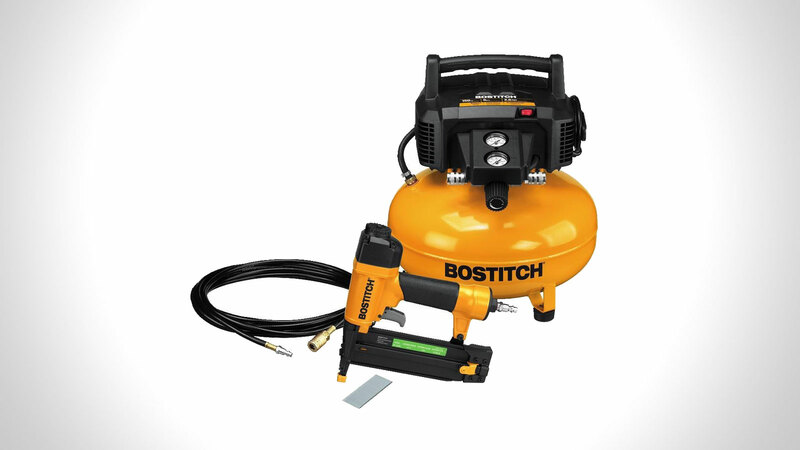 If you know someone who does all their own finishing work then save them the hassle of renting equipment and buy them the Bostitch Brad Nailer & Compressor Combo Kit ($170). The kit comes with a Bostitch brad nailer that drives 18GA brad nails for 5/8″ to 2″. You also get a 6 gallon 150psi 2.6scfm pancake compressor. The compressor features a high-efficiency motor for easy start up even in cold weather, a long life oil-free, maintenance free pump, and an impact-resistant composite shroud that protects the controls and gauges. This kit is perfect for interior trim, crown molding, base trim, shoe molding and cabinetry. If you’re looking for gifts for the DIY enthusiast, then he will sure to love the Black + Decker Workmate 425 Portable Project Center and Vise ($125). This Workmate bench has a massive 550-pound capacity, is portable and extremely durable. It features a one-handed clamping system, adjustable swivel pegs that support a wide variety of shapes, and a handy dual height adjustment. 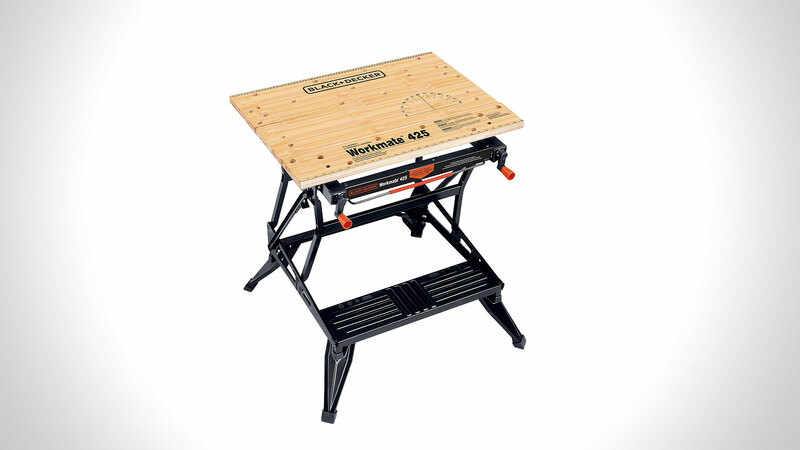 This workbench is perfect for carpenters, woodworkers, DIY enthusiasts, home mechanics, or anyone else looking for a little home shop assistance. 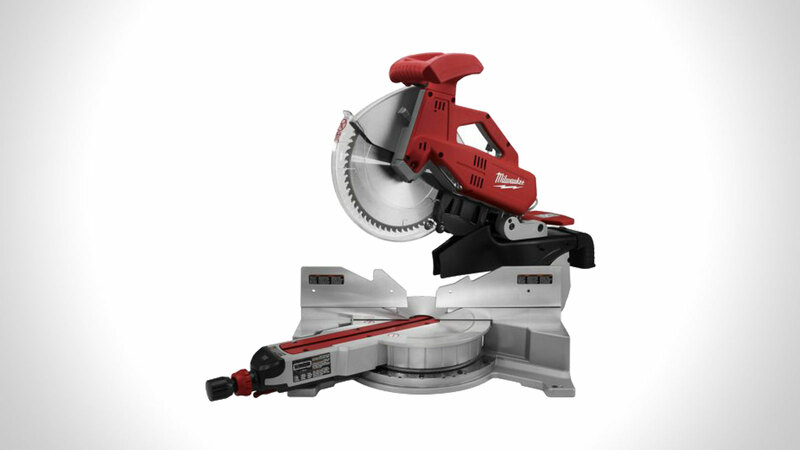 The Milwaukee 12″ Dual-Bevel Sliding Compound Miter Saw ($617) isn’t a cheap tool gift, but the handyman you bought it for would sure love it. This miter saw features bevy of options including a miter angle fine adjust with detent override making it simple to dial-in precise miter angles. The miter angle digital readout which provides repeatable accuracy to .1 degrees also doesn’t hurt. It also features dual integral job site lights that fully illuminate the work piece and cut line from either side of the blade. No more having to worry about low light job sites. The motor features constant power technology that provides constant speed under load. Someone, please buy me this tool gift :-). Tool Gift Ideas Under $50. The Estwing E16C 16oz Curved Claw Hammer with Leather Grip ($35) has gotten a ton of great reviews on Amazon and would be a perfect gift for the handyman or DIYer in your life. 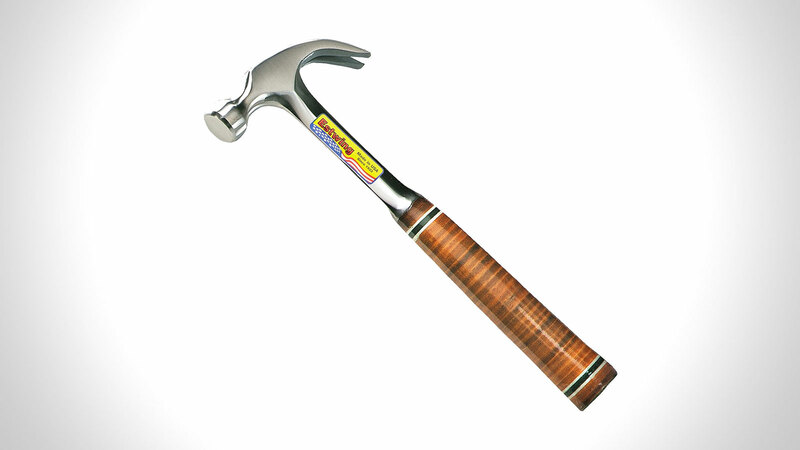 The hammer comes in two size options of 16 oz or 20 oz, although the 20 oz may be a little heavy for most. It measures 14-inches long and features a curved claw for pulling nails and prying and a leather grip. This hammer was built to last a lifetime.